Meg Murry is a young girl whose astrophysicist father disappeared four years ago. One day she learns from three magical travelers that she can find her father if she embarks on a journey of self-discovery across the universe, accompanied by her brother and her classmate. A Wrinkle in Time had some big names in its cast, a popular source material, and lots of ambition which was evident from the intriguing trailers — so why did Disney go ahead and make a safe children’s movie with the same plot they always use instead of something that families can love too? Ava Duvernay is not a bad filmmaker, she did a fantastic job directing Selma so I had faith that I could really enjoy this film. However, the overuse of visuals, waste of great cast members, and 100% familiarity and predictability of the plot offer nothing new that will resonate. Storm Reid is great as the young Meg who is curious, rebellious, and learns to embrace who she is. However, the rest of the actors, while great, aren’t used to the movie’s advantage. With names like Oprah Winfrey, Reese Witherspoon, and Mindy Kaling, we’d surely get some great leading faces, but not only are they not present for a good amount of the film, but the actors are just being the typical persona of how they usually portray their characters. Oprah is of course just there to inspire people, Witherspoon is funny but really just there to charm, and Kaling is extremely annoying as a character whose only dialogue is famous quotes from historical figures or celebrities. The cast’s (and the film’s) greatest strengths are Chris Pine and Gugu Mbatha-Raw, who have been promising in nearly everything they’ve done. We’ve come to know Pine as Captain Kirk and more recently, Wonder Woman’s love interest, and Mbatha-Raw is a rising talent most notably in her role in Black Mirror. Here they play the most remarkable parts of the film; an ambitious scientist who loves nothing more than his family, and the wife and mother whose life is left with a void after her husband’s disappearance. They are both terrific to watch on-screen, yet so underused, and this part of the story could have been used more dominantly but in the middle of the film it’s ditched for the classic formula we see in nearly every film. Other familiar faces include Zach Galifiankis and Michael Pena, but they too are forgotten and we spend more time with the generic love interest played by Levi Miller and the irritating younger brother by the name of Charles Wallace. A Wrinkle in Time had a lot going for it, and though lots of it feels like a missed opportunity, there are some things it gets right. We’re ultimately left with a theme about being your best and embracing your faults, because in the end, we can all do great things. Kids will love this message and be empowered by this theme, but to everyone who’s seen a movie before, it’s all the same. An ordinary kid who feels isolated from everyone else is pulled into a magical journey and learns to be a hero and a better version of themselves, and falls in love and the way. Sound familiar, right? It feels like this could’ve been something unique but instead used the same recycled formula for a new generation. Even Star Wars has a significantly similar plot to this one. The CGI and green-screen don’t feel real and intimate enough either, and at the end, it doesn’t seem like much of the story had a point either, just a bunch of names and concepts thrown at you that don’t have some sort of resonance and thrills to offer. Some may argue this movie celebrates female empowerment and diversity, but is that enough to make a good movie? That part should be the icing on the cake that can be added to something great. 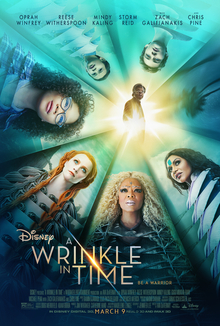 Your kids may be enamored and entertained by the messages this film has to offer, but if you’re over 10 years old, A Wrinkle in Time will leave you thinking about nothing but the potential that was missed here. This should’ve been something families will talk to their kids about and recommend to friends, but in the end, we’re left with a familiar story accompanied with forgettable execution. 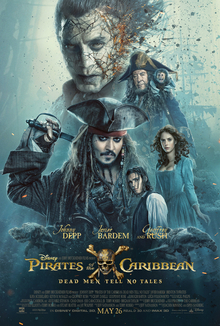 Ava Duvernay and Disney should’ve learned, like their protagonist, to embrace their faults and improve upon what’s done before, and trust me, I’ve seen lots of great Disney movies, but this one just doesn’t add up to something I’d recommend to anyone going to the movies with friends or a date. On the bright side, there’s still Black Panther and Annihilation out there for whoever hasn’t seen those yet. In Kathryn Bieglow’s latest film, she takes on the 1967 Detroit riot that shook the city forever. Bigelow has done a great job taking on true stories before, like the Iraq War in The Hurt Locker and the assassination of bin Laden in Zero Dark Thirty, both of which are great films that had me excited for this one. Here, Bigelow’s directing does not fail to stand out. She’s the most successful female director in Hollywood and it’s not hard to see why. The story is depicted mostly in the events of one night, in which the police raid of a motel generates horrible results. Although the setting is mostly small, these scenes are powerful and have lots of meaning in them. The cast is great, including Star Wars‘ John Boyega and especially Will Poulter as a ruthlessly racist white cop, but the real star is newcomer Algee Smith, who plays a musician who is emotionally scarred after the horrifying events of the film. He demonstrates lots of talent through his expression of fear and humanity in the movie. The first 45 minutes are slow and messy, as the historical concept is first introduced, and then we are given many characters to follow without any plot being brought forward until after this long first act. The directing was always great, but the writing in this first part could have been improved, and Barry Ackroyd’s style of quick cuts and handheld cam doesn’t quite work here. However, once the intensity kicked in, the writing became much more interesting and I was on the edge of my seat. The depiction of the excessive violence that the police unnecessarily used on the blacks in this time is painful to watch, and not just because you know it really happened, but because these situations still happen today and nothing his really changed since those violent and awful times. The scariest thing about Detroit is that the theme in the movie not only stands for the time period and the city it takes place in, but what is happening all over the country even today, and that change must be made. The ending is frustratingly realistic but has a point to prove and a state to make, one that will stay with you and hopefully inspire us all to move toward peace. 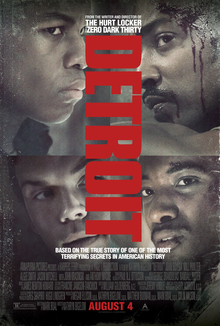 Kathryn Bigelow has made another great true story with Detroit, a difficult and realistic but moving feature that although not one of the best films of the year, it’s one of the most necessary. It takes on important themes like racism and violence, and is a moving history lesson that has a relevant message to both the past and the present. After the apes suffer unimaginable losses, Caesar wrestles with his darker instincts and begins his own mythic quest to avenge his kind. This conclusion to the reboot trilogy that began with Rise and became even more comeplling in 2014’s Dawn, so I was extremely looking forward to see what would happen next in War. Matt Reeves returns from the previous installment after receiving lots of praise and doing a terrific job, and here he carries enough of the emotion and brilliant visuals and action sequences that kept me so engaged in Dawn over to this one. Andy Serkis is one of the most dedicated and talented motion capture artists working today, if not the best in our time. He’s delivered some of the most impressive motion-capture performances in recent years, including Gollum in the Middle-Earth movies, King Kong in Peter Jackson’s 2005 film, and Supreme Leader Snoke in the new Star Wars movies. His performance in this trilgoy as Ceasar is at the top, with the depth and presence Serkis is able to deliver only through a motion capture suit is unbelieavble. The visual effects, like its predecessors, are some of the best in recent years, with the CGI used in the three films to turn actors wearing suits into apes being some of the best motion capture and visual effects work recently. In both the previous movies, there are main human characters being developed, with lots of the last films being told from the perspectives of the humans, most notably the leads James Franco or Jason Clarke. However, the humans are a much smaller emotional focus this time and the apes are the sole core of the film. Despite the humans playing a big role in the plot, only one human character is developed, and that is a ruthless army colonel played by Woody Harrelson. Harrelson’s menacing and terrific performance poses an excellent threat against Caesar, and we understand the Colonel’s motivation and fear, as well Caesar’s hate against him. Harrelson was a perfect casting choice and really impressed me in one of the best villanous performances this year. If, like me, you were impressed by how much the previous installment surpassed your expectations with its incredible directing, storytelling, characters, and themes, then War will have more than enough to amuse you. Matt Reeves once again delivers great themes about what we do when we act out of fear, and the relationship between mankind and nature. The editing is never too quick, and the action is stirkingly shot. Most of the scenes that provide intensity were very good at achieving their goal to the audience in the way that they did. The way Caesar’s emotional conflict is explored is smart and carries the film very well, as well as the development of every other ape character in the film. 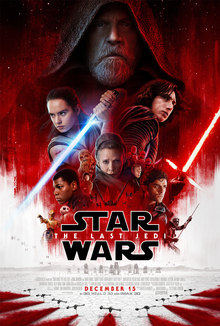 The trailers hardly reveal anything about the overall plot of the film, other than the obvious fact that the humans and apes are at war.It was interesting to learn what would drive the characters throughout the movie and where the conflict was going. Some exposition is slightly confusing at first but eventually effective once you get it, and a few supporting characters that I wans’t too sold on, including a human character named Preacher who could have used a tad more development and an ape named Bad Ape who didn’t do much for me. However, War was what it needed to be and will definitely satisfy those looking for a strong conclusion to this epic trilogy. Many are calling this the best in the trilogy, but I personally feel that it is the weakest of the three. That doesn’t mean I didn’t have a great time with it and or wans’t impressed or satisfied by the end, but I just believe that Rise and Dawn were stronger installments. At the end of the first two, it feels like a lot has changed from the beginning, and this one has less of that feeling of change by the time the climax has ended. Also, this definitely did not feel like the 2-hour and 20-minute movie, but the pacing is good for whatt he runtime felt like. 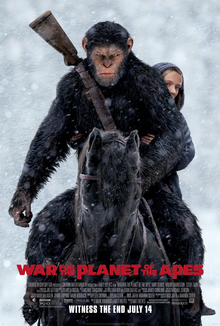 War for the Planet of the Apes is as good as I hoped for it to be, with terrific visual work and directing, as well as thrilling action sequences and dialogue. Andy Serkis and Woody Harrelson did not let me down, and although Dawn is still my favorite of the trilogy, I was by the end amused by what I had watched and this is a very admirable and recommended sequel.